When the party in Jade's Arachnophobia campaign agreed to join John on his quest to become a Greenwood Ranger, they really had know idea where they were going, or what was in store for them. All they knew was John had gone into the forest to hunt, and had return claiming he had a vision telling him to go East. They had camped at a fork in the road that night, with one path curving East and the other continuing due South towards Darfield, their goal. It was only briefly debated, but the party agreed they would help their friend. So turning towards the rising sun the next day, the party began their journey. Not even John knew that his quest was the answer to a desperate prayer, and help couldn't arrive too soon. John's Quest was to help the Druid of King's of Forest. For years she alone had guarded the woods where the fallen colossus from eons passed lay to rest, and where dozen of the ancient standing stones (the Waystones) stood silent; their protective magics having faded over the years. It was an easy life, until a powerful wizard arrived from across the sea far to the South. Using his magics and wealth, he started a mine and gathered the gems and precious stones that rained from the colossus as it fell to earth from its towering altitude. 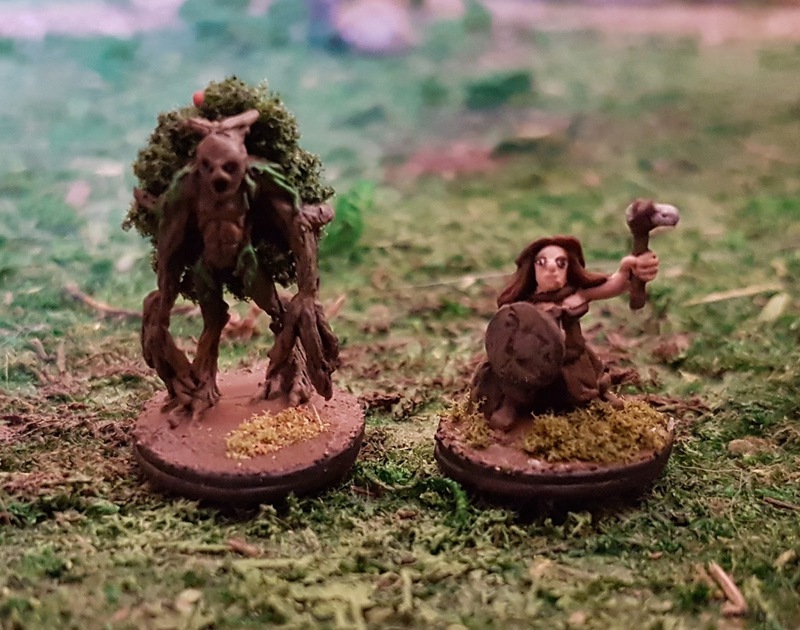 The Druid of King's Forest thought she had struck a balance; the wizard's miners could dig into the earth and gather stones from the many river beds without disturbing the remains of the slumbering giant; but the greed of the Wizard grew too deep. Using knowledge known in his homeland, he planned to destroy the Waystones, believing them to be full of countless precious stones. Such sacrilege could not be allowed. 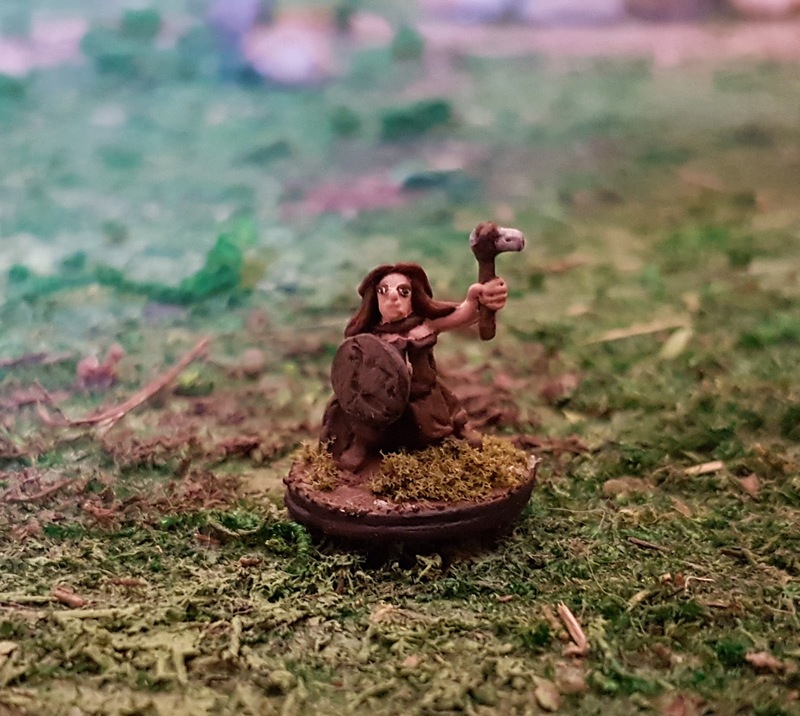 The Druid, being but one dwarf, knew she could not take on the wizard by herself, so she had planned to overrun the camp with hundreds of wolves - killing as many people as she could, hoping that would collapse the camp. It was desperate and dark way to handle the issue, though deep inside she dreaded the alternative. She could awaken the sleeping Colossus, and ask it to activate the Waystones, protecting the area from the Wizard... But it would cost her life. When John and the party arrived they were the first to even listen to her cries for help in a long time, and she discussed the two possibilities with the group. But when she told them of awakening the Waystones, she left out how she would have to sacrifice herself instead focusing on the other dangers, the fact that the Cave's leading to the Colossus' head were overrun with spiders; thinking this would scare them off from that plan. However, having fought spiders before, the group was undeterred and into the caves they went. 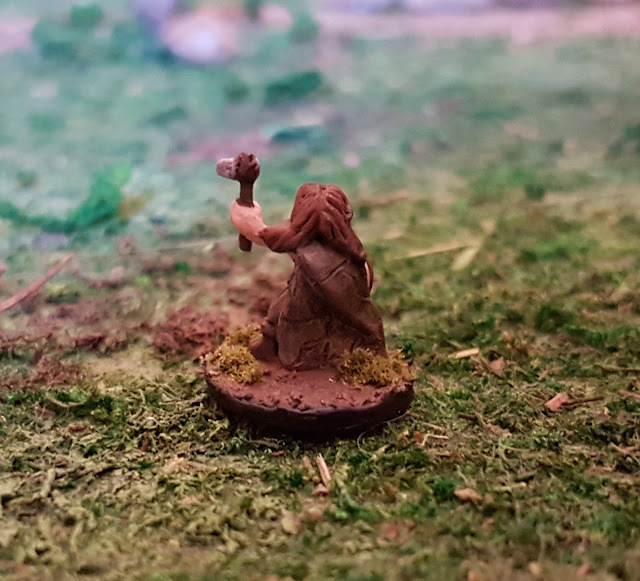 Needless to say since John completed his quest, they defeated the spiders and the Druid of King's forest made the ultimate sacrifice, awakening the colossus and activating the Waystone. The Wizard was stopped.... Though I am sure he will want to get even with those who foiled his plan. John will never forget the Druid of King's Forest and what she did for her Faith, and the Colossi; the Forgotten Gods of the Forest. I am sure he will say a prayer for her each night before he lays to rest.